Barcelona have named a near-enough full-strength squad to take on Real Betis in La Liga on Sunday, a match that, if Barca were to win, would see them go 10 points clear at the top of the league. Ernesto Valverde’s side went into today seven points ahead of Atletico Madrid in La Liga, and following Los Rojiblancos’ 2-0 defeat to Athletic Bilbao, the Blaugrana now have the chance to go 10 clear at the top of the table. And it looks like Valverde is eager to take up this opportunity, as the Spaniard has named a near-enough full strength squad to take on Betis tomorrow. 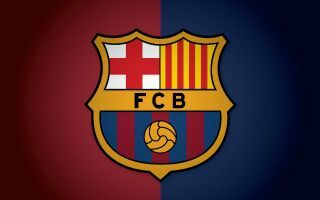 Stars like Lionel Messi, Luis Suarez, Philippe Coutinho, Ivan Rakitic, Samuel Umtiti and Gerard Pique have all been included in Barca’s squad, something that makes it look like the club are keen to wrap up the league title as early as possible. One player that Barca fans are happy to see included is Malcom, with a number of the club’s supporters jumping onto Twitter to call for the Brazilian to start following his inclusion in the squad. You can check out Barca’s squad below, as well as the number of fans calling for Malcom to start tomorrow’s tricky clash vs Betis. Give Malcom the chance he deserves backed by a great line up?? Malcom should start.. that's it.. the lad deserves more playing time..